The holiday season is all about sharing and spending time with those you know and love. Dogs are part of a lot of families and there are a lot of great holiday gifts out there that allow you to include them in all the holiday fun. Here are some of Scout’s picks for great gifts for all dogs big and small! If a dog doesn’t have a Kong then their toy collection simply isn’t complete. 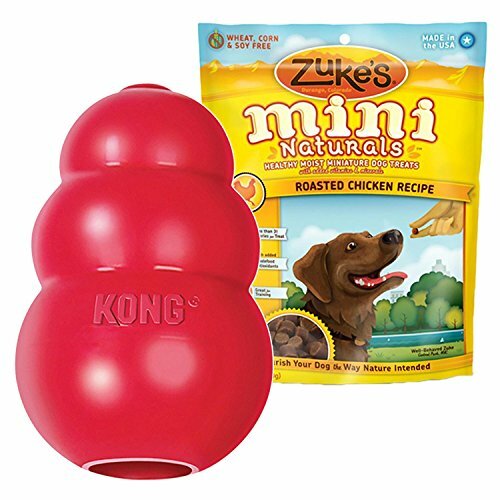 The Classic Kong is an excellent value and even comes in a festive Christmas red. This is the ultimate stocking stuffer for your pooch. Combine this with some of the treats on this list and you have a winning combination for holiday cheer for your dog. 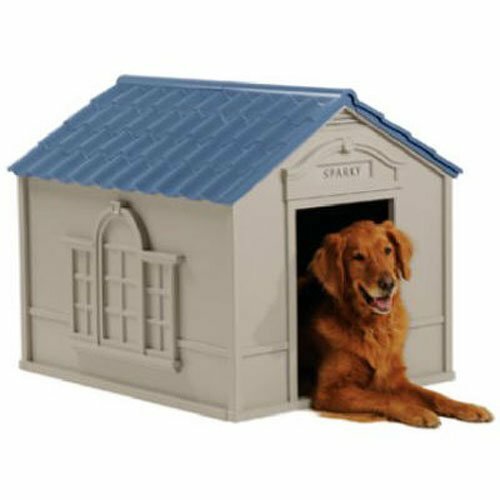 This dog house provides comfort and a space of their own for your dog that weighs up to a 100 lbs. At a great budget price, this house is an excellent value and it simply snaps together so you go from box to house in little time. 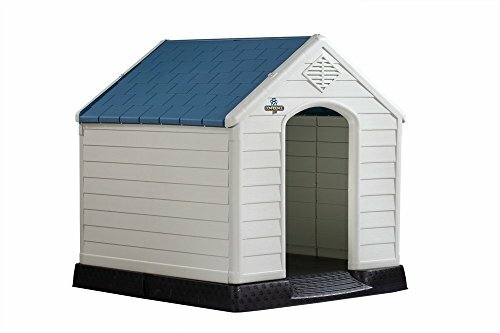 If you have a lot of space and are looking to add a second shelter then this gift is a sturdy and economical choice. One thing that Scout loves about this house is that it comes with a sloped entryway and floor that allows your dog to stay clean and dry. This house offers warmth and comfort in the winter months and is made to accommodate large dogs. A large entryway allows even very large dogs to comfortably enter and lay down. What dog doesn’t like to go for a walk or run? 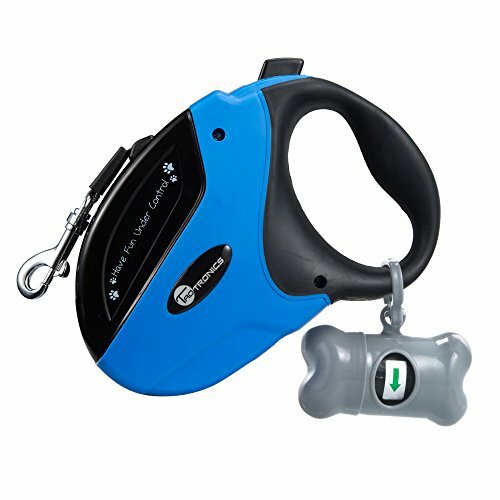 This sturdy retractable leash offers freedom and control of your dog. Scout likes that this leash is strong enough for big dogs up to 110 lbs. As a bonus, there is a waste bag dispenser in a cute bone shape that comes pre loaded with a roll of waste disposal bags that are perfect for the dog park. These freeze-dried chicken livers are sure to put a smile on your dog’s face. It is hard to top pure meat for training and special rewards. You get 350 pieces in a single tub, so these are treats that are going to last a long time. For those that are concerned about the country of origin, these treats are made in the USA at an inspected facility. 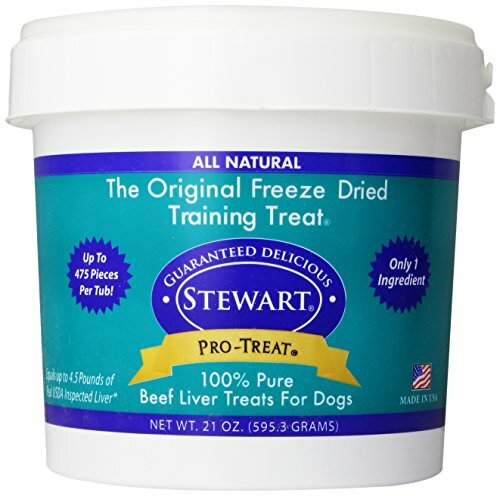 Freeze-dried beef liver treats are great for training. These are made by the same company that makes the chicken liver treats but offer the deliciousness of beef so your dog can have a variety of meaty treats throughout the year. This tub and the chicken livers make a great treat combination to put under the tree for your dog! Declare your love for your dog with this cool tin sign. The size is perfect for hanging in your home, office, or business. Remember those best friend necklaces that used to be so popular? Well, this is a version you can share with your dog. The cute clasp can easily be attached to your dog’s favorite collar. Sometimes a dog needs to get a little dressed up and this is a collar that offers a lot of classy flash and style. The brass quick-release closure not only looks good but offers function. 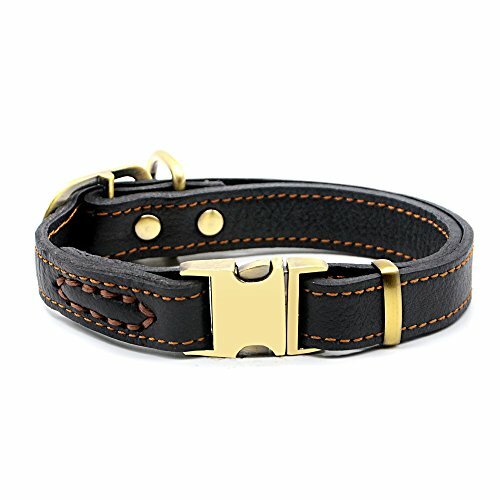 The traditional buckle clasp allows for adjustment so the collar fits your dog perfectly. Doesn’t your dog deserve a beautiful collar for the New Year? 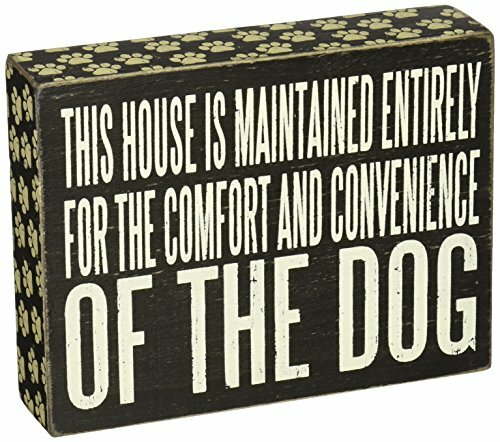 While this might be a small and discreet sign, it allows you to express the rules of your house as they relate to the love you have for your dog. This makes a great gift for dogs and dog parent’s alike. Benebone Wishbones offers all the meaty flavor your dog craves in a long-lasting and easy to grip chew. These are a great alternative to rawhide. The medium size is suitable for dogs up to 70 lbs. If you have a really big pooch then opt for the large size. Some dogs really love dinner time. Unfortunately, eating too quickly can increase the chances of gastrointestinal distress. This bowl is a lot of fun and it easily slows down the fastest eating dogs so that they take the time to chew food better and not get strangled. 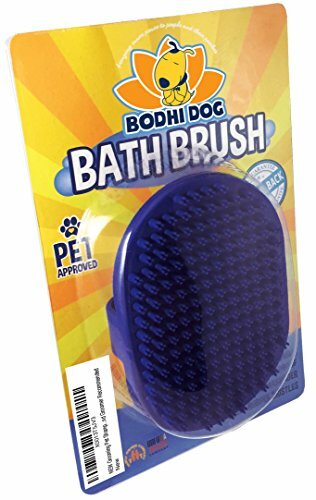 Bodhi is a great company that offers a ton of quality pet products that are rigorously tested. This massaging rubber bristled brush does double duty as a grooming tool and a massaging scrubber that offers comfort and cleaning power at bath time. It is super easy to clean and made to last. All of your dogs will love the massaging comfort this holiday season. What better way to include your dog in the family Christmas tree, than a custom paw print ornament. This kit comes with everything you need to make two ornaments. This super cute Christmas craft project is sure to be a hit with friends and family. Teething puppies can be a handful! It seems that a pup wants to chew up everything in sight when you are not looking. Save your furniture and shoes with this awesome 3 pack of Nylabones made just for soothing puppies. These are also great for senior dogs that still like to chew a lot. The Furhaven Pet Orthopedic Mattress is perfect for offering your dog a soft and supportive place to rest. Pet parents give this mattress great reviews and it is very affordable for the size of bed and quality you get. If you have a smaller or larger pooch, they offer a full line of sizes of mattresses to meet their needs. For dogs that like a nest-style sleeping environment or that have another furry friend they like to curl up with, this is a good option that offers a lot of support and a non-skid bottom that won’t scratch floors. 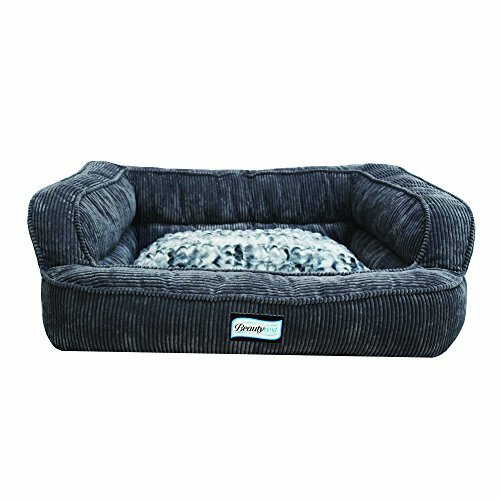 The large size makes it ideal for multiple smaller dogs or one giant dog. It is hard to find a better name in mattresses than Simmons Beauty Rest. 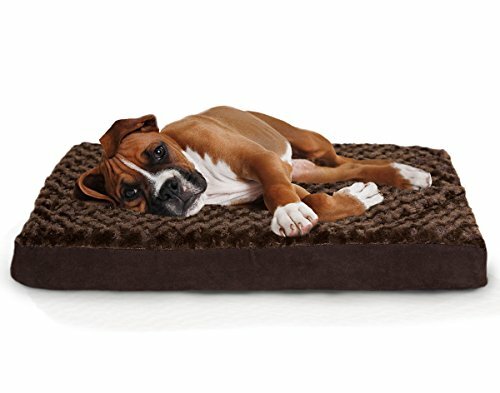 This dog bed will offer your dog many nights of great sleep and comfort. The cushioned arms provide a nest-style sleeping arrangement that is a good alternative to more expensive dog couches. 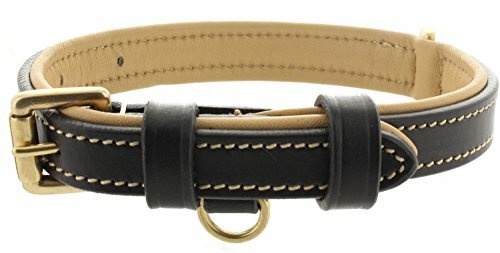 This snazzy luxury leather dog collar is sure to make a statement on your next trip to the dog park. Sturdy stitching and a padded lining make this collar comfortable for your dog. Quality hardware ensures a strong ring for you to attach your favorite leashes. 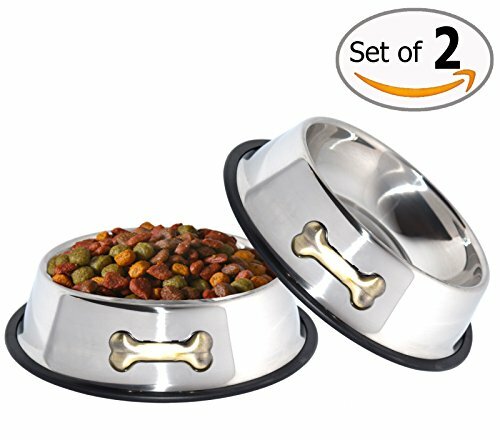 Stainless steel dog food dishes are easy to clean and Scout loves the gold dog bone accents. These bowls would be cute to use for putting in some packaged fancy dog cookies or treats and then wrapping some colorful cellophane around for gift giving. Every dog should have at least a few cozy and soft blankets. This blanket comes in several sizes and colors and is ideal for laying around at home or hitting the road. Synthetic fibers are easy to wash and blankets dry out quickly. 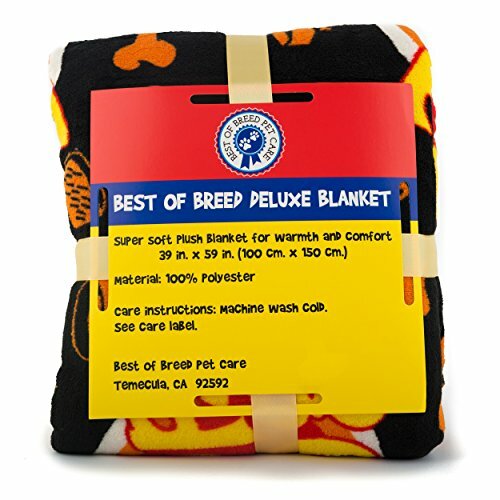 This is a very plush blanket that is sure to become a favorite with your pooch. This blanket is so soft and cute that you may find that you have to get two so you have one for yourself. The top dog graphic is cute and tells it like it is! This super cushy and plush blanket is a great addition to any dog’s bed. Alternatively, throw it in your car to help protect seats whole running errands around town! Grain-free turkey jerky snacks may very well become your dog’s favorite new snack. This is another natural quality product brought to you by Bodhi Dog. All natural turkey, chickpeas, and molasses are the main ingredients in these grain-free snacks. If you have to travel or you are away a lot during the week, then your dog may appreciate a little more face time with you. 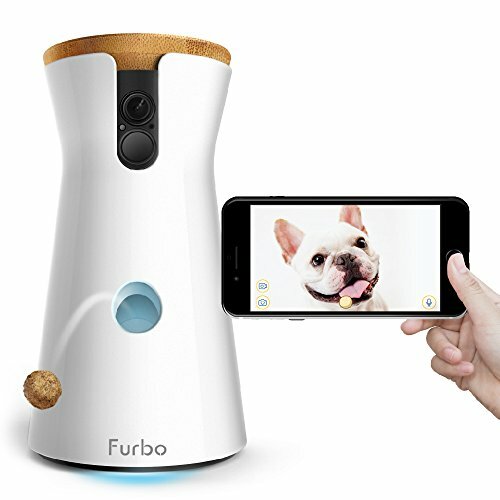 This innovative dog monitoring system allows you to talk to your dog, see them, and toss them a treat no matter where you are. This is a great product for those that have dogs that suffer from separation anxiety. For pet parent’s that miss their pooch during the day, this can be a good way to check on them during your lunch breaks. Those that want to get it all for their dog may want to take a look at this fun stocking full of useful items and toys for small to medium dogs. You can also reuse the stocking next year and fill it full of goodies for your furry family member. The dog that likes to fetch is a fun one to have around. These Christmas themed tennis balls offer holiday cheer and fun that can last throughout the year. 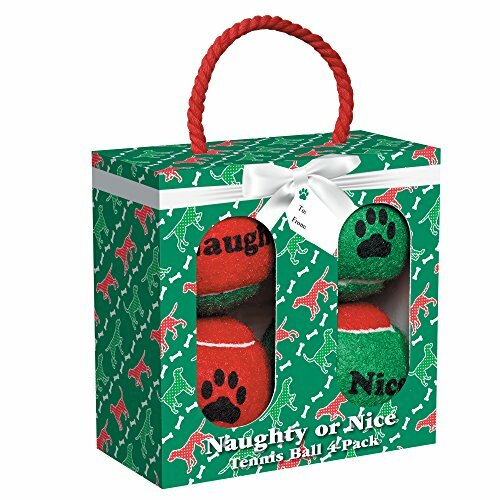 This four pack of balls is also ideal for multiple dog households so everyone can get in on the fun and good times! Why should people get all the Christmas cookies? Claudia’s Bakery carefully chooses ingredients and bakes up these delicious cookies for all the dogs out there. Human grade ingredients ensure that your dog is getting a quality treat. These cookies look so fun and good you will want to make them a new holiday tradition for your good dogs! A lot of the items on Scout’s holiday list are smaller and great for combining into a dog gift basket. For an elaborate gift idea for your dog you could get them a new dog bed and fill it with small items like a new collar, leash, snacks, and a great chew toy. Scout wishes all the dogs and dog parent’s out there a wonderful holiday filled with cheer and all things good!